There have been calls in recent times for the resignation of Buhari by PDP and Nigerians and Nigerians had a thing or 2 to say. 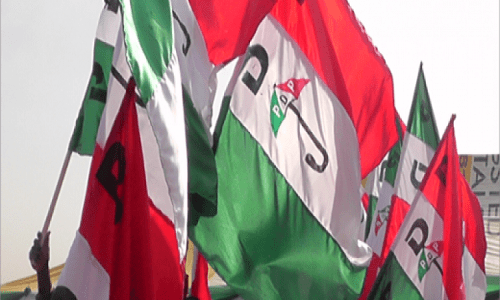 PDP asks Buhari to resign over economic crises https://t.co/ZBKfYEf8L1 What’s your take? @PremiumTimesng I agree PDP on Buhari’s resignation but before he did, We demand he should hang all PDP members for causing us calamity. @PremiumTimesng the summary of their argument is that APC can not fix in over a year an economy that they used 16 years to destroy. @PremiumTimesng Easy to say. APC told Jonathan the same. PDP lacks the discipline to manage Nigeria at present. @PremiumTimesng if PDP remains in power to this moment, there wouldn’t have been Nigeria. Looted our treasury! @PremiumTimesng @Lizabs68…1 PDP that left the Nigerian economy without critical infrastructure lacks the moral right to ask PMB to resign. @PremiumTimesng @PdpNigeria @NGRPresident @JudeJagger No time to apportion blame. PDP cause the mess and PMB is making it a lot worse. Be Honest: What’s the One Thing You Would Do Only For the Woman You Love? Who is the highest paid manager at Euro 2016? It is very unfortunate that the pot can call the water inside the kettle black. Buhari was only called in to clear PDP’s mess, like he did in 1984 when he was called in to clear NPN’s mess. Now the mess creator is castigating the fumigator. If I had my way, PDP should be banned from power for the next 20 years for messing up Nigeria and inflicting so much pain on her people. Buhari is on the right path and Nigeria will smile before the end of the year. Meanwhile, patience and perseverance is NEED.